“I just found your website and I can’t wait to scour it with a fine tooth comb! 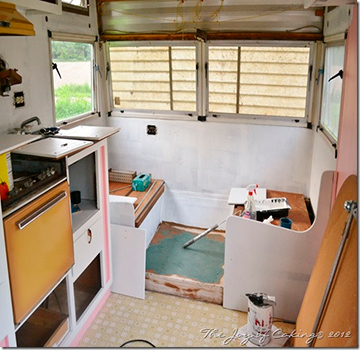 I started renovating a 1972 Frolic last spring and I am planning to finish up the work this spring. Still trying to get to the bottom of a bathroom leak before I button the inside work up and move to the outside. Can’t wait to paint her pink and white. Thought you might want a sneak peak of my work, so I’ve included a few photos of my renovation. Thanks for the e-mail, Eileen, and for your photos below. They are fantastic. Let the countdown to International Glamping Weekend begin! Pretty in Pink for sure! I cant get enough of the ideas that I see on these vintage trailers. Cant wait to own one myself one day (hopefullly soon) and have fun re-doing her too! These renovated trailers are so impressive! 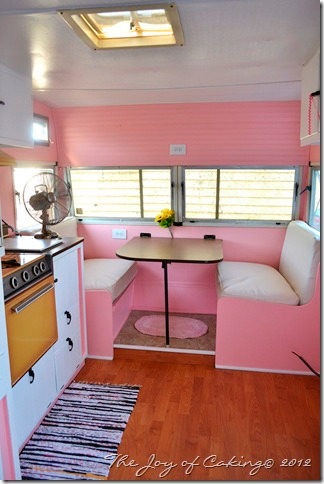 Talk about adorable and functional.I know these glamping events must be so much fun for everyone!! Now I’ve got more dreams to dream! Thanks for the inspiration. 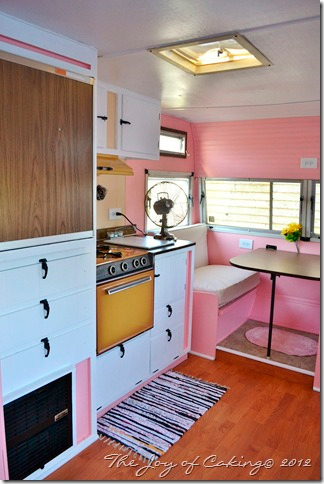 Thanks so much for sharing the Pink Paradise and my photos of the Tin Can Tourist Vintage Campers I took last fall. I’m ordering bathroom fixtures as we speak! I’m loving the pink! 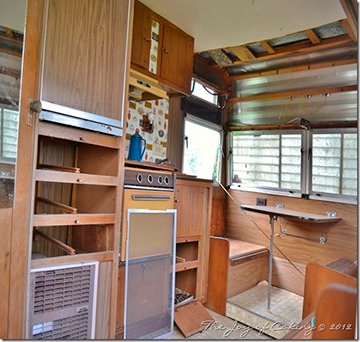 Been dreaming of finding myself a little vintage trailer and dressing her up! Keep up the good work she’s looking real pretty!